It’s funny how God works sometimes. I guess we shouldn’t be surprised – that’s what He does! A few weeks ago, I was listening to a sermon which mentioned ‘The Seven Ones’ in Ephesians 4. This immediately struck me as material for a song, so I drafted out a chorus and part of a verse, to finish at a later date. Then I came to the retreat in The Gambia this week (to lead worship) and what should be one of the main readings but Ephesians 4:1-16!! The very same bit! 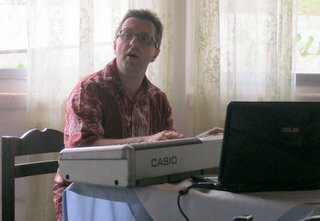 So, I quickly finished off the song and we sang it a couple of times at the retreat – it went down pretty well. The song is in a slightly 80’s style, but with some more recent features (ie the Bm chord at the end of line 2 and the unresolved Esus4 chord). Remarkably, the entire song only contains six notes (D, E, F#, G, A and B). Yet it has eight basic chords! Unusual to have more chords than notes in a song, but there you go. Someone recently noted that many of my songs are more to do with encouraging Christians to live lives closer to God, and to reach out to others. Nothing wrong with that, but there’s also a need for songs which purely worship the Lord for who he is. That’s what this song does. The melody is not as original as I’d like, but it is certainly singable (and it will stick in your head!!) The last line, of course, is from Henry Twells’ lovely song “At evening, when the sun had set” (1868). Click here to see all the words. Yes, Song of the Week is back! 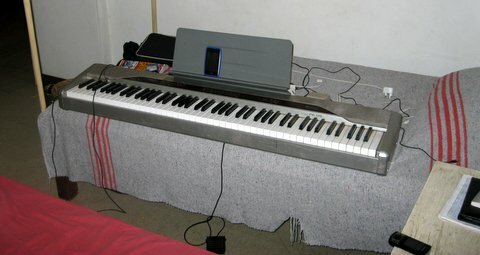 Having ‘escaped’ from Mali, I’m currently in Senegal and finally have the chance to compose some more songs! 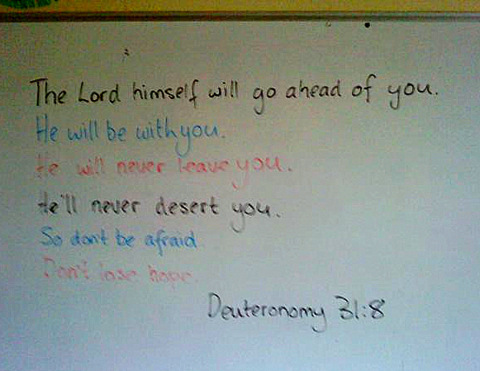 Of course, at the time I had no idea how significant these words would be to me and the whole family in the days to follow, but the verse is certainly true and God was with us throughout the curfews, the gunfire, the powercuts and the constant fear of what may or may not happen next.